Growing up in the New York City suburb of Ramsey, New Jersey, Wesley spent his days drawing. Today, as bandleader of THE LUMINEERS , Wesley’s replaced his pencil with a guitar and his drawings with songs. He still practices a lot, and it still turns out good. In the spring of 2005, childhood friends Wesley Schultz and Jeremiah Fraites began to collaborate, writing together and playing gigs around New York. After battling the city’s cutthroat music scene and impossibly high cost of living, the two decided to expand their horizons. They packed everything they owned—nothing more than a couple suitcases of clothes and a trailer full of musical instruments—and headed for Denver, Colorado. It was less a pilgrimage than act of stubborn hopefulness. The first thing they did in Denver was place a Craigslist ad for a cellist, and the first person to respond was Neyla Pekarek, a classically trained Denver native. As a trio, they began playing at the Meadowlark, a gritty basement club where the city’s most talented songwriters gathered every Tuesday for an open mic and dollar PBRs. Neyla softened Wes and Jer’s rough edges while expanding her skills to mandolin and piano. And so THE LUMINEERS sound took shape; an amalgam of heart-swelling stomp-and-clap acoustic rock, classic pop, and front-porch folk.In 2011, an eponymous, self-recorded EP led to a self-booked tour, and before long The Lumineers started attracting devout fans, first across the Western US, then back in their old East Coast stomping grounds. 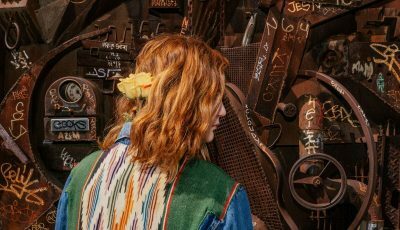 Young, old and in-between, they’re drawn by songs like “Ho Hey” and “Stubborn Love,” Americana-inflected barnburners in the vein of the Avett Brothers and Mumford & Sons. 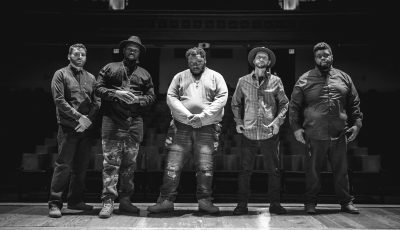 The roots revival of the last few years has primed listeners for a new generation of rustic, heart-on-the-sleeve music — the kind that nods to tradition while setting off into uncharted territory. The Lumineers walk that line with an unerring gift for timeless melodies and soul-stirring lyrics. Powered by passion, ripened by hard work, THE LUMINEERS have found their sound when the world needs it most. Now, four years in the making…they’re back with an eagerly anticipated new album! All Access Music writer, Nicole DeRosa had the great pleasure of catching up with Jeremiah Fraites just before the release of the bands long awaited album, CLEOPATRA coming out on April 8th. Enjoy below as Jeremiah chats with Nicole about the making of the album, filming the video for “Ophelia“, his love of Nirvana and Beethoven and much more! Hey there Jeremiah! Where does our interview find you today and what’s on the agenda today besides our interview? Hey Nicole! Well, I’m at home right now and completely free this week. 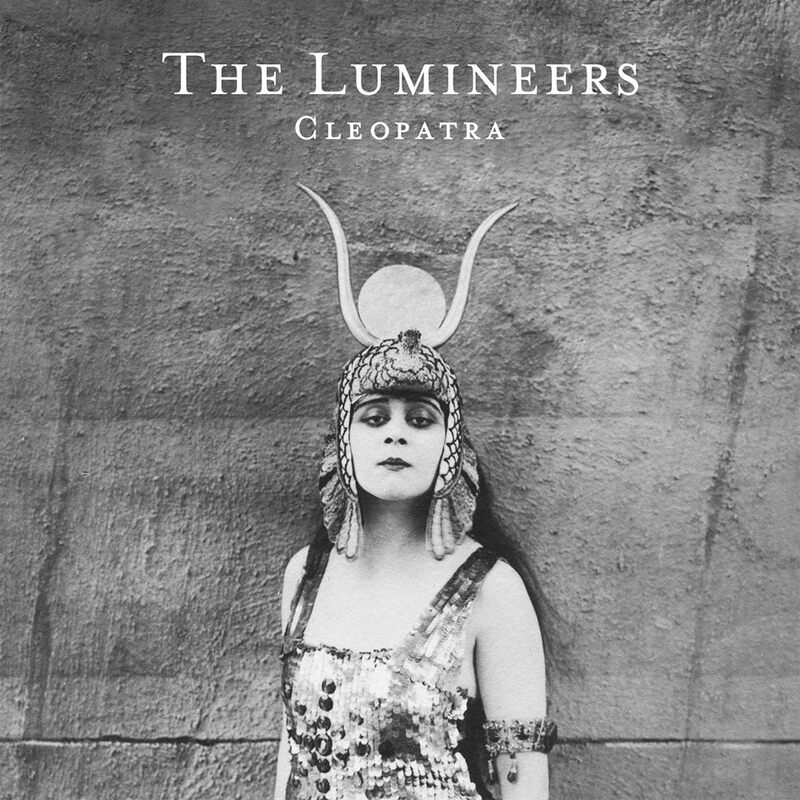 Besides our interview, I am also be picking out songs for a Lumineers Spotify playlist for songs that inspired the making of our second album, Cleopatra. My brother in law is also in town, visiting from Italy and we’re going to play soccer in about an hour which will be a lot of fun and something I love to do when I am home, which is very rare. Afterwards, I’m going over to my bandmate, Wes’ house for dinner later this evening. For those that have been living under a rock and not as familiar with The Lumineers and your music, who or what was the catalyst for you to want to live the life of a musical gypsy? Well, I think part of the thing that made me want to choose this lifestyle was two things…I guess, first was seeing my father go to work everyday, getting up at 6 in the morning everyday and getting home at five or six o’clock every night. He provided an amazing life for my brother, myself and my mother. That was amazing of him but I also saw that classic, traditional work ethic of going to a job everyday for 30 or 40 years and not necessarily enjoying the job but doing it because he needed to provide for his family. Secondly, I think I saw a lot of my peers after high school or college immediately finding jobs that paid well, but were not necessarily fulfilling them. It allowed for them to buy a house, a car, or a cool apartment in New York City or whatever superficial thing at the time but it didn’t make them happy. I said to myself, “I rather do something that makes me happy as opposed to something that makes me money”. I just think that it made sense to me…ya know, that idea of do what you love. You know that old cliche, “If you do what you love for a living, you never work a day in your life…” Well, I do, do what I love for a living and I also work extremely hard, so I don’t know if that old adage is correct (laughs) but I am very blessed and I feel very lucky to have had all that success with our debut album. Before our debut album ever came out, Wes and I wrote music for about five or six years (now going on ten years…) before we found any success. “They” said it takes about ten years to be an overnight success and I suppose that was true with us. Your self titled debut album, gave us the memorable hit song, “Ho Hey” which would become the 10th song to reach a 60th week on the Billboard Hot 100 chart; eventually finishing its run at 62 weeks, as one of the highest runs in the chart’s history. What did you learn between your debut album and now that you felt you wanted to infuse into the album, Cleopatra? I guess we learned a lot…one thing is that there was this big anticipation for our second album, obviously and I think there was this big pressure to deliver an epic album. I think as The Lumineers, we certainly could have capitalized on the first albums success. In other words, we could have just put out another record, two years later that looked, sounded and felt exactly like the first one. 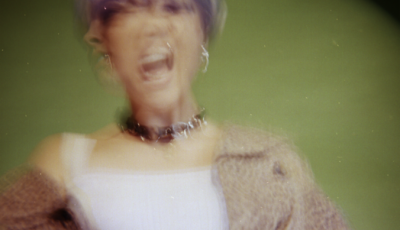 I think a good metaphor is like winning the lottery and instead of buying more lottery tickets, we just took the money and invested it in the sense of finding all this success with the first album, we were very lucky to have with the success of “Ho Hey” but instead of trying to cheapen that experience or capitalize on it, shallowly. I think we thought, “Okay, let’s make the second album grow and evolve and let there be a palpable difference in the two albums, both sonically and well, everything. Both lyrically and how it just feels. I think it feels more grown up and more serious and again, evolved. These are all serious words using to describe our music but I really feel like that. I really feel that the second album is more mature. Jeremiah, you and Wes both composed the melody for the song “The Hanging Tree” which was featured in The Hunger Games: Mockingjay – Part 1 and was performed by James Newton Howard and vocals by actress, Jennifer Lawrence. How did that all come about and how was that experience writing for a soundtrack? Well it came about very organically. We had completed a song for The Hunger Games soundtrack called “Gayle’s Song” that is going to be on the second record. When we finished “Gayle’s Song” we were in the midst of being on the road, we were actually at Lollapalooza in Chicago and we had about six free hours that morning and we went into a studio and recorded “Gayle’s Song” which went on the first Hunger Games soundtrack. The director of The Hunger Games, Francis Lawrence reached out to me directly and it was just like I said, a very organic request…he said, “Hey do you and Wes want to write some music and a melody?” In the book The Hunger Games there is this poem called, “The Hanging Tree” and obviously it’s just words on a page. So this was a really cool, working backwards kind of homework assignment. You know, typically….it’s I find the melody first and Wes would write the lyrics and this was here are the lyrics now write the melody. So, me and Wes worked on the melody and tried to imagine the Hunger Games character (Katniss) that Jennifer Lawrence portrays and being this center of attention in this war-like atmosphere and we tried to delve into this Appalachian-folky kinda vibe and sent it to them and they loved it! I was just really blown away by what James Newton Howard did with that simple melody where it dissolves into all these complex chords running underneath it and it was just a really cool experience. And, to hear Jennifer Lawrence sing it…I don’t think she’s a trained singer, which was even cooler to hear because it’s very frail and vulnerable in a cool way, I really mean that in the best way possible. Ya know, Wes and I write all this music for The Lumineers but also have all these other song ideas that we can’t use for The Lumineers, so doing something like that for a movie was a great exercise in continuing to be an artist and not something we would have done with The Lumineers. You guys continued your musical efforts on the small screen too, by releasing the song, “Visions of China” which was featured in the AMC television show, The Walking Dead. Are you all big fans of the show as well? To be honest, I’ve never seen an episode of The Walking Dead. I watched every episode of Breaking Bad and then I went back to an older show called, The X-Files and then we went on tour for three years (laughs) so, I haven’t had a lot of time to watch television. But, I love the song, “Visions of China” and I know that The Walking Dead is probably the biggest show in the world right now. What was the inspiration for your new single, “Ophelia”? Did you help come up with the treatment for the video as well? “Ophelia” was really cool because that was the first song that we had written and 100% completed in the demo-ing process. We finished touring the first album, going on three years now in December of 2014 and then we started writing in January of 2015. By February, “Ophelia” was done in the demo stage and that was really exciting because I felt like it helped me understand the second album. Lyrically, I heard Wes talk about it often…he says that the lyrics sort of just fell out of him as a stream of consciousness and then they began to have meaning later for him. Specifically to this idea of after touring for three years on the first record, you sometimes feel numb and disconnected to what you are doing and doing the same thing every night and you are exhausted from travel. It’s pretty cool because the lyrics are kind of vague at times, but also specific if that makes any sense. I think that fed in lyrically into the treatment of the video…this idea of us performing, as these kind of stoic statues performing on a stage and this sort of ghost-like figure that rises from Wesley’s body that starts dancing in the street without a care in the world. It actually started to rain at the end of the shoot, which you can see in the video for “Ophelia”. That was not planned…that was no CGI rain! (laughs) That actually started to happen and its one of my favorite scenes when it turns that corner and its raining in Los Angeles. How rare is that? It was pretty great to capture it in that moment in the presentation of the song. I can remember buying an album by the band, Bush. I can’t remember the title of the album but it had the song, “Machinehead” and “Glycerine” which was a huge hit…it had a lot of cool songs on that album. I can remember going into a record store and my mother, ya know…she wouldn’t let me buy the records with the EXPLICIT CONTENT sticker. I was only allowed to buy the albums that were the edited versions. (laughs) I didn’t feel very cool in front of my friends with my “edited version”. I can specifically remember buying that Bush cd and just really falling in love. I would be really meticulous about collecting all this music and trying to do it “for free” which, little did I know…fifteen to twenty years later, that is how people were going to do it with YouTube and an infinite amount of songs at your fingertips “for free”. We live in a strange world now and it’s a strange time to be a musician. That said, I do think it’s also an exciting time to be a musician too. Change is not always bad. I just love Beethoven. I fell in love with…not the symphony of Beethoven, but just him on the piano. I guess they are called, sonatas. His songs are just so beautiful and I would listen to them every night before I fell asleep. So, I fell in love with the piano and Beethoven first. I am at my computer right now and instead of showing you my playlist, I can explain to you my playlist. (laughs) Okay, so I have the song, “The Truth” by Dr. Dog, “The Suburbs” by Arcade Fire, “Everybody’s Got To Learn Sometime” by Beck which is from Eternal Sunshine of the Spotless Mind soundtrack. I also have “A Day In The Life” by The Beatles, “The Ghosts of Beverly Drive” by Deathcab For Cutie. I also have “Hollywood Forever Cemetery Sings” from Father John Misty. And “Hannah Hunt” by Vampire Weekend. What’s on tap next for The Lumineers? What are you most excited about for this year? Well, talking to you right now….it is Thursday, February 25th at 10:43am in Denver, Colorado and I cannot wait for our album to be released! I have the album here on my computer and I have it on my phone and I can’t send it to any of my friends. I have friends all over the world and they’ve been asking and texting me for the album, but I’ve really been respecting the album and not releasing it to anyone. 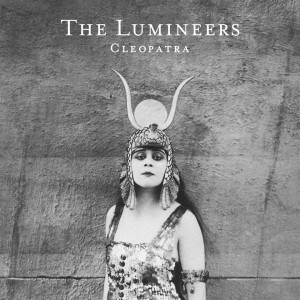 I’m excited for our album, Cleopatra to come out on April 8th. It’s really frustrating that the album was done, basically in September…or maybe around early October and now almost six months later, the album will be out in April. So, I just can’t wait for that. I know it’s a great album. I just feel that strongly about it. I feel very proud, happy and content with it and I guess, I’m just excited for the fans to hear it! Our fans have been patiently waiting for four years and that’s a long time. There is a part of me that wishes we would have released an album earlier but there was no time. We toured and then we wrote this album. This is as early as this album could have come out when all is said and done. I’m really excited to go back on tour, see our fans and have them listen to our songs. Q&A with Superstar Dancer, MADDIE ZIEGLER – Talks Dance.com, Working with SIA and Upcoming Projects!